Note: This is the second in a series on bullying. These days most of us think we know all about bullying. But the truth is that almost any attempt to define it stirs up mass confusion and controversy. The 49 states with anti-bullying legislation have created at least 10 different definitions. The academics define bullying as a stronger person deliberately and repeatedly harming a weaker person. And for kids and many adults, bullying is simply mean behavior. So does a definition matter? Well, it matters for researchers because they can’t measure bullying and figure out how to stop it if they don’t know what they’re counting. And it matters for teachers because they can’t intervene appropriately if they don’t recognize bullying when they see it. At this point you may ask, shouldn’t I intervene whenever I see a mean or harmful act, whether it’s bullying or not? The answer is a resounding YES! However, if you’re really dealing with bullying, an intervention for ordinary aggression—physical or relational, direct or indirect—probably won’t work in the long run, even if it stops the bullying at that moment. Although aggression and bullying are closely related, the academic definition points to differences that make bullying a serious form of abuse. All of those involved—the child who bullies, the target of the bullying, and even the bystanders, who may experience anxiety, fear, guilt, depression, and trauma—suffer long-lasting effects. Children who are targeted can’t shake off the bullying because it happens again and again. They can’t avoid or escape it because their aggressors are bigger, stronger, smarter, more popular, or more influential with their peers. Children who bully aren’t just angry or after someone’s lunch money. Their behavior is intentional—they know exactly what they’re doing—and their goal is to show their power by hurting and tormenting their targets, chosen because they are weak, different, or lack social status. Over time, targets become more and more frightened and isolated and less and less able to defend themselves. Aggression takes place in the open—the aggressor will knock over whomever gets in the way of something he wants, even if a teacher is standing right there. But bullying usually goes on behind teachers’ backs in unstructured settings such as bathrooms, corridors, and schoolyards, and children don’t often report it. As a result, you probably won’t know about it, and it may be difficult to identify. Besides, it doesn’t always look the way you expect it to. Has injuries or damaged clothing, books, etc. 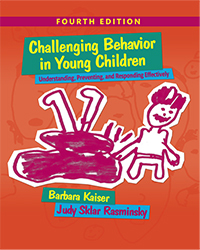 It is especially challenging to find the blurry line where teasing leaves off and bullying begins. Children know they’ve crossed it “when a joke isn’t funny any more,” but in practice they may be as confused as you are. Teasing between friends is fun and affectionate, helps to resolve conflict, and enforces social norms. But when it exhibits the qualities of bullying—a power imbalance, an intention to harm, and repetition—it is indeed bullying. The child being teased provides one clue to the distinction. If he or she doesn’t laugh or smile and is repeatedly hurt or upset, the teaser has probably crossed the line. Boys may not show their hurt feelings, so if you’re in doubt ask them privately how they feel. But because they might try to save face and not answer honestly, it is probably a good idea to talk to with the teasing child anyway. The subject matter offers another clue. If the teasing is about a child’s appearance, the intention is almost certainly hostile. And if the teaser uses an aggressive or nasty tone, that’s probably bullying as well, and it’s time to intervene. In fact, if you suspect any kind of bullying, even if you don’t see it yourself, it’s important to step in at once. Listen to—and believe—every child who reports it, and pay attention to your instincts. It’s better to overreact than to underreact. If children are ever going to ask for your help, they need to trust you, believe that you trust them, and have confidence that you’ll act. In our next post we’ll discuss the children who bully, the targets of bullying, and why bystanders find it so hard to intervene. Later in this series we’ll cover what adults need to do. In the meantime let us know what you think. Have you found it hard to identify bullying? How do you tell the difference between teasing and bullying? Have you been aware of how your own past experience and attitudes influence your response?